The roles and responsibilities of correctional nurses for medication management are broader in scope than other practice settings. In health care settings many other professional and support personnel contribute to delivery of patient care. However in correctional facilities nurses are relied upon to deliver care without the availability of these other types of personnel. The result is that correctional nurses often work in professional isolation and may feel like they are in a foreign country (Muse, 2012). I think traveling in a foreign country is a good analogy for correctional nursing. Doing this well involves preparation by learning something about the sights to see, building skill using a little of the language, familiarizing yourself with the rules, particularly which side of the road people drive on and finding out how to avoid being robbed or harmed in some way. The thrill of correctional nursing, like the thrill of foreign travel, comes when you realize how much you are enjoying it, especially the independence of professional nursing practice in this field. This post is the first part of a guidebook for your journey managing medication in correctional settings. State law serves as the basis for nearly all of the practices and procedures involved in medication management. Most nurses are familiar with the nurse practice act in their state. If not, this is the place to start by reviewing it for definitions and references to medication. The nurse practice act will be especially helpful in describing the training and supervision requirements if non-licensed personnel, such as nursing assistants, administer medication at the correctional facility. The pharmacy practice act is the most important resource to review. These laws will define how to obtain, store, dispense and account for medication which are often the responsibility of nurses when there is no pharmacist on site. Even if there is a pharmacist at the facility, being familiar with the law that governs their practice is helpful in understanding the recommendations pharmacists make about drug storage, packaging of medications and accountability. The medical practice act provides important information about how a physician’s order for medication is lawfully carried out. The medical practice act also has information about how medical assistants and paramedics work as well as the requirements for training and supervision which need to be followed if these personnel are involved in medication management. This is not interesting reading but it does provide information that nurses can use in determining the responsibilities of personnel for medication management. It also provides definitions and terminology to accurately communicate with the pharmacy that provides medication to the facility and with providers about implementation of orders. Finally it provides nurses a basis to knowledgably resist inappropriate requests from custody and other personnel not familiar with health care laws to carry out tasks that are inconsistent with state law. The National Commission on Correctional Health Care (NCCHC) and the American Correctional Association (ACA) are organizations which accredit correctional facilities for providing services and programs consistent with national standards. The standards are also used by most correctional facilities in developing policy and practices even if accreditation is not sought. Both organizations have standards related to medication management which are summarized in Figure 1. This list is a handy description of all the moving parts and pieces of medication management in correctional settings and nurses are involved in all of these components. This list can be used to review how medication management is handled at a facility and identify areas that may need attention. 4. Medications are under control of appropriate staff and accounted for. Secure storage and perpetual inventory of controlled substances, syringes and needles. 8. Inmates do not prepare, dispense, or administer medications. Self-carry medication programs are allowed. 9. There are no outdated, discontinued, or recalled medications at the facility. 10. If there is no on-site pharmacist, a consulting pharmacist is available for advice and makes inspections of the facility’s medication program at least quarterly. To be knowledgeable of medications administered, including dosages, side effects, contraindications and food and drug allergies. Practices with regard to medication management in the correctional setting meet the same standards as in the community. To do so nurses must be knowledgeable about state practice acts (as suggested earlier in this chapter). Ensure that patients know what medications they are taking, the correct dosage and potential side effects. If patients are expected to take medications without supervision the nurse evaluates the patient’s competence to self-manage and takes steps to protect those who are not competent to do so. Work with custody staff so that patients receive medication in a timely and safe manner (ANA, 2013). This overview makes me reflect on my first experience with medication management in correctional nursing. I was being oriented to administer medications on the evening shift at a maximum custody men’s prison. A technician rolled a grocery cart filled with stock bottles of all kinds of medication out to me. The cart was full. In giving me the cart he said “You roll this along the tier and stop at every cell. Ask the inmates what meds they want. When you give them the medication then you record it on one of these index cards that has the medication listed at the top.” I remember being shocked and asked the technician why they did it that way. He shrugged his shoulders and went on with his tasks. While this experience is pretty extreme you might use it to review against the ANA nursing standards of practice, the accreditation standards and state law that were reviewed in this post and identify the inconsistencies. Being knowledgeable about the standards and requirements for medication management prevents erosion of professional practice and ultimately protects patients from harm. Going back to the travel analogy, knowing state law, the national standards for correctional facilities as well as the standards of practice for correctional nurses is like having a guidebook to review the sights to see in place you have selected to travel to. These become a reference point to plan so you can make the most of your time as well as an expectation for what will take place while on your journey. 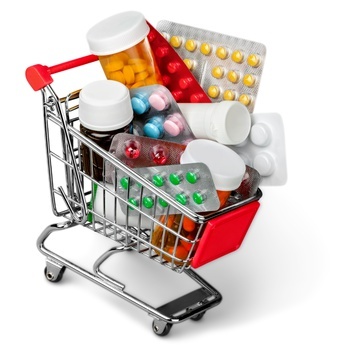 Is medication management a troublesome area where you practice correctional nursing? Have you looked at the problem through the lens of applicable state law, corrections standards and the nursing practice standards? If so, what have you identified as the problem areas? Please comment by responding in the comments section of this post. Muse, M. (2012). Professional role and responsibility. In C. Schoenly L. & Knox, Essentials of Correctional Nursing (pp. 364-377). New York: Springer. National Commission on Correctional Health Care. (2014). Standards for Health Services. Chicago: National Commission on Correctional Health Care. This entry was posted in Medication Delivery and Safety and tagged ACA, American Nurses Association, Catherine Knox, correctional nursing, Essentials of Correctional Nursing, jail nurse, Medications, National Commission on Correctional Health Care, prison nurse, Standards of Practice. Bookmark the permalink. Our county jail is in the process of transfer from a “for-profit” company managing both nursing and the medical department and going back to county oversight of the nurses but medical management will now be under our local health network. As an agency nurse, the biggest challenge for me was trying to figure out how each staff nurse sorted their medications in the giant rolling cart that we take from pod to pod. So, if everything is arranged by generic, olanzapine should be under “O” right? No, it is under “Z” for Zyprexa. 🙂 County regulations require that psychotropic drugs be patient specific but there was never enough room in the medication cart for individual bubble packs. Many other medications were stock, so that made it easier with those medications. It will be interesting to see how the local health network will run the medical department because that will definitely impact on the nurses. There are triage rooms on each level where medications were distributed from a few years back, that would make it easier for the nurses but then could impact on the Corrections Officers.